By Meredith Chilson on June 22, 2013 Visit Meredith's Website. For years, I thought there were only two breeds of chicken. 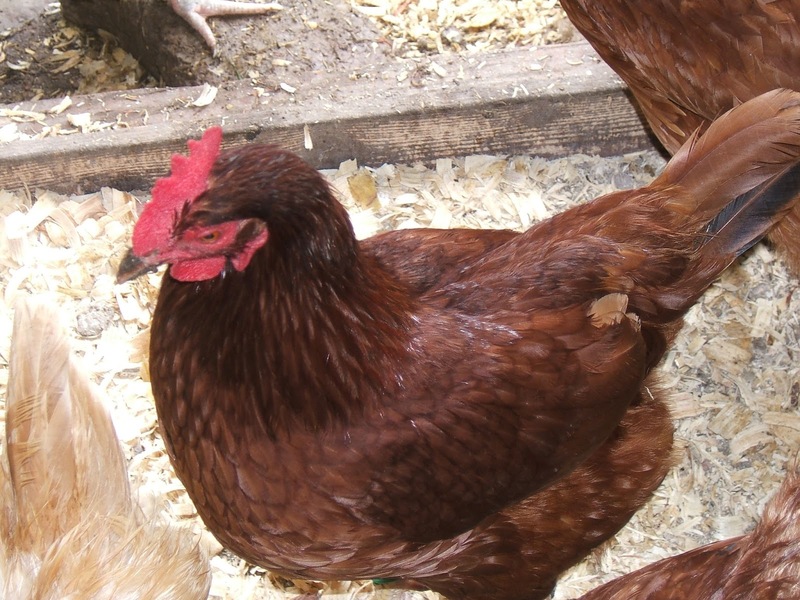 White Leghorns—which laid white eggs and pecked your hands hard enough to draw blood, and Rhode Island Reds –which laid brown eggs and were so affectionate they would sit right down in front of you when you wanted to pet them. My mother raised 500 Leghorns every year. The sale of eggs helped with the cash flow on a dairy farm where the milk check came only once a month. When the 2-year “old” hens were butchered in the fall, the sale of meat helped toward winter expenses. It certainly wasn’t a factory farm; the birds were well treated, had a huge coop and a summer run that my hens would envy today. But, it was a business. As sweet as the day-old babies were when they were brought home from the hatchery, they never received names, their purpose—their job—was clear, and they performed their duties admirably. My great aunt had working hens, too. She and her family lived on a small farm and everybody worked—from the mouse-catching cats in the barn through the bread-baking women in the kitchen. There was a small chicken coop not too far from the back porch where about a dozen big brown Rhode Island Red hens roosted at night. It was close enough to the house that it was easy to run out to gather eggs for breakfast and to toss scraps that didn’t go to the pigs in the pen closer to the barn. I remember a standoffish rooster with lovely tail feathers, too, as well as the occasional hen with a few balls of fluff following close behind. When I became a hen keeper, these were the chickens I wanted most of all. And so, a few years back, Rhode Island Red chicks were among the first to come home with me from the hardware store. I’d ordered them ahead of time, and my husband had spent many nights (under my close direction and supervision) building a coop. They are heat and cold tolerant, too. 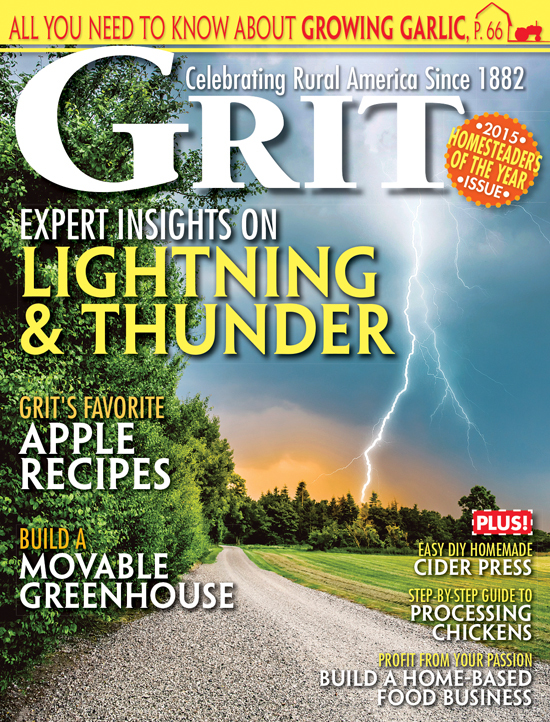 Here in Western New York, we do receive some sub-zero winter weather, as well as some heavy, humid hot summer weather. We were hoping to find birds that could tolerate extremes in temperature without too much stress. We wanted chickens for their eggs and so the comment that they “rarely brood” didn’t faze us. As our flock grew, we added some different breeds, but the Rhode Island Reds remain the Queens of the Hen Yard. We name our birds (the roosters are always named “Stew”—and that’s all I will say about that for now), and each seems to develop a different personality. her privacy a bit more than the other hens. Ginger came to us as a chick last year. 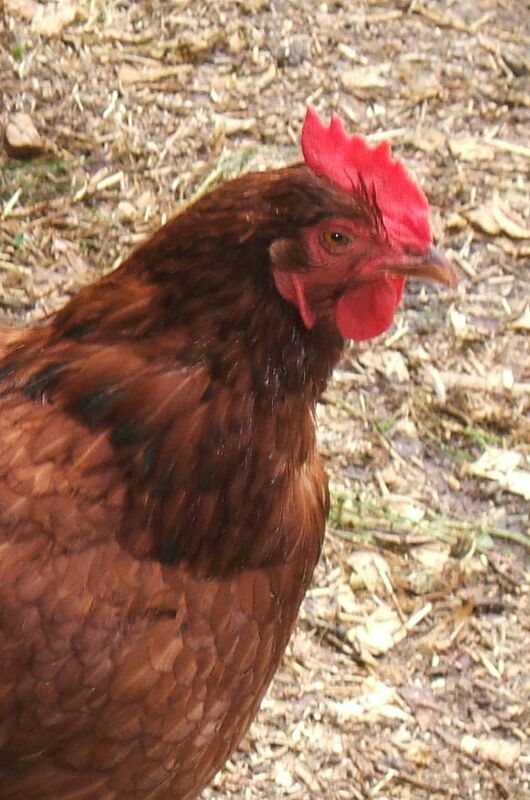 She and two Speckled Sussex hens hang out together—have done so since they were teenagers. They remind me a little of cliquey schoolgirls. Ginger is the bossy one. She tells the other two where the best lunch places are, when it’s time to go in for the night, and (it seems to me) what other hens are to be avoided or picked on. If the Sussex hens aren’t in the coop soon enough at night, Ginger calls to them, or goes out into the yard and herds them in. And then there’s the Little Red Hen—who turned out to be the bossiest of all. For several reasons, we have no roosters in our flock any more. With their absence, Little Red has taken on the position. She is the first into the yard in the morning, and the last into the coop at night. Little Red watches for the best greens and the tastiest bugs, and calls her friends over when there are goodies enough to share. She watches over the flock, just like our roosters always did. 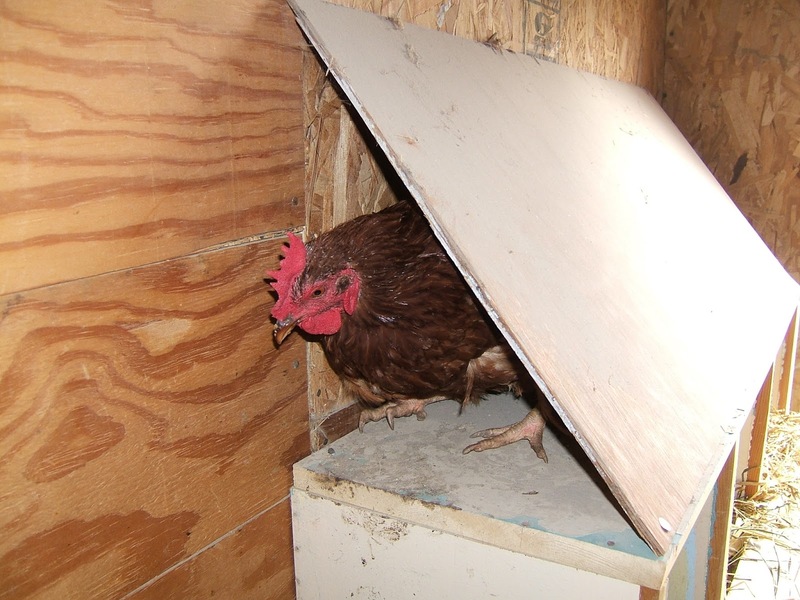 When we were moving nest boxes earlier this year, Little Red was right in the way, clucking, checking, PECKING…she apparently wasn’t so sure that the new arrangement was to her liking. And…a few weeks ago, I heard the strangest sounds coming from her. I watched as she streeetttched her neck and SQUAWKED what I can only describe as an attempt to crow. Little Red Hen is doing her best to be our Little Red ROOSTER. Rhode Island Reds were developed in Rhode Island (and Massachusetts) early in the nineteenth century. They are now, in fact, the Rhode Island state bird! It is a dual purpose (meat and egg) breed, with its early Malay game bird background contributing the dark red feather color as well as its hardiness. A Mother Earth News Heritage Chicken Breeds article tells us the breed was originally called “Golden Red”, and that it is likely the most widely distributed chicken breed in the world. Rhode Island Red hens are excellent layers of large brown eggs –you can expect over 200 eggs a year from them. We’ve found they are good winter layers, too. Our hens molt and re-feather quickly, and lay throughout the year. The meat (remember “Stew”?) from young birds is tasty, although the dark feathers mean dark pinfeathers. I’ve read that Rhode Island Red roosters can be aggressive and may turn mean. We’ve never kept any long enough to find out, but if our Little Red Hen’s attitude is any indication, the remarks are no doubt correct. Our Rhodies have a single comb, and occasionally, I’ve noticed spots of frostbite after winter cold spells. This can usually be prevented by an application of petroleum jelly. We’ve never had lasting or lingering bad effects from the frost bitten Rhodie combs, though. Maybe because I have such good memories of friendly red hens, or maybe because I know what distinct personalities they develop, and what good fresh eggs they lay, but… when people, just thinking about getting a flock of chickens, ask me what breed I would recommend—I always tell them to start with some Rhode Island Reds. 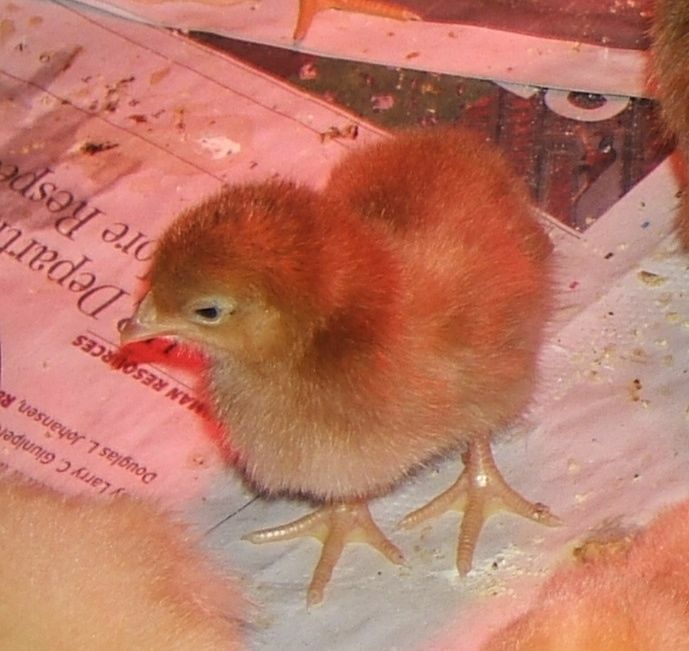 Do you raise Rhode Island Reds? When do RI Hens stop laying eggs? What’s a good age to butcher. I’m raising RI Hens and I noticed my husband’s been Looking at them with drool. I don’t want to wait till they are tough, but not to soon either. Help. My Rhodies are a joy. I raised three of them with 3 each of Wyandottes and Orpingtons. Loretta rules the roost, attacking with back claws anyone upsetting the group, Sammy is happy roaming the yard alone and Bonnie is just plain fun. Poor Bonnie looks like she has been through a blender at molting time. They are three years old now and a wonderful addition to a busy yard. I have always raised RR’s Right now, I only have three chickesn because I live in town, but I have one RR-Bella–the best egg layer, usually an egg a day, but now she has competition. Buttons–a young Americana also lays one blue egg a day. Buffy-the Buff Orpington-is an old broody hen, but she is also the stand-in rooster of the bunch and the tamest. I have had several RR roosters over the years and they have all been better guard “dogs” than dogs! One followed my daughter around when she was about two and protected her from everything–including the muscovy and the mallards that seemed to love to chase her. Unfortunately, his overprotectiveness was his doom. He attacked my daughter’s father one day. The light Brahma rooster, although huge and about three times the size, was no match for the smaller RR. Just a correction. Rhode Island Reds were developed in the LATE nineteenth century and early 20th Century. There is also a Rhode Island White but it’s very rare. And if you want really beautiful Rhode Island Reds, get the show type. They are shiny dark red and of the correct body type. We got a few RIR’s this spring. We are very pleased with them, you are right they are very calm and friendly. When we go in the pen they rush up to us and stand right under our feet, we can even pick them up. We have an egg business and have always had leghorns, still do, so it’s refreshing to have such friendly girls. I know we will add more in the future. Love your posts, very informative and interesting, keep up the good work. I have a flock of several different kind of hens. My little Penny is so sweet. She is finially over being broody and back among the flock. Never once did she try to peck my hand when I would check under her for eggs from other hens. Next year I will probably let her have some chicks as I felt so bad for her this year. She will be a great mom. Even when one of the dogs would try to just see what she was doing in that nest all the time, never once did she back down from him. She would fluff up so big and sound so mean. Even coming off the nest a bit to chase him off. 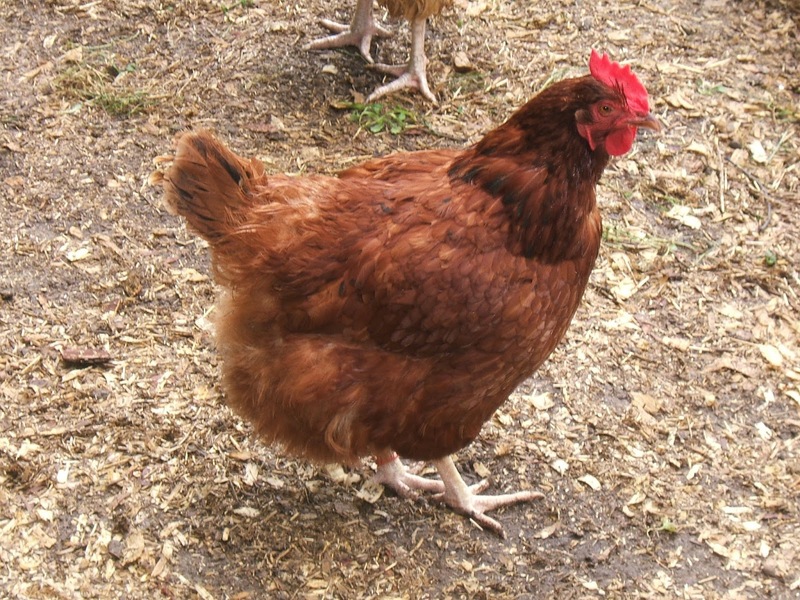 She lays a nice large light brown egg and I would surely recommend adding a pretty little Rhode Island Red to your flock. Next year I will be getting some new little Reds. I am in my second year of raising chickens, and we have had some really bad pitfalls this year. Of the original 20 I started with last Spring, I only have eight left. My sisters dog would dug under the fence from next door and killed eight on one day, and two on another. I have threatened to shoot the dog if I ever even SEE it again. It now stays in the house 24/7. In the meantime, we started with two RIRs in that original bunch, and they were inseparable, however, about two weeks ago I found one of them dead in the run. The survivor wandered all over the yard for several days bawwking and calling. This Spring we added to the flock with twenty more day old birds, and they are now out in the yard in their own coop and run. Ten of these are RIRs. All my chickens free range every day all day, sunup until sundown. The new batch has ten RIRs, and the old girl has decided to live in their roost/run instead of the old house. She spends her nights roosting on a crossbar that I had for hanging water, and now seems to have taken over the duties of just being on the watch for everything, but stays on that roost all night. And she herds all the youngsters into the coop at night then heads to her outdoor roost. She is a wonder, and very affectionate. One- Rhoda (clever, no?) and we *adore* her. So chatty, friendly and approachable, maybe too much so. It’s difficult to get yardwork accomplished for her interference. Being vegetarians, she’s safe from the stew pot post-laying days, for which she’ll no doubt be happy to hear. Once I name my chickens, they’re safe from the stew pot! I know what you mean about being pushy — our RIR hens all think they know the best way to do things –whether it’s take a dust bath or enjoy a pile of greens — and they let the others know. I have a flock of 9 chickens of all different breeds. One of them is a Rhode Island Red. She is one of my oldest girls and just turned 7 years old. Although she has slowed down a lot, she still gives me eggs. She is one of my favorites, she is sweet and friendly and every time I sit on a bench or chair she is the one who always has to jump up and sit on my lap. She will nap there roosted on my knee as long as I will let her stay. Aw..that’s a sweet story. I was wondering how long they would lay — I have several that are 5 this year and are still laying, although not so much–but boy, do they sing their egg songs when they do!! I love my RIRs. I had a RIR Roo who would attack all people or dogs coming near his flock except me. We finally reached an understanding. The only thing he didn’t protect his girls from was hawk attack. I have a Light Brahma Roo now and he is the bigges weenie on the block. Time for another RIR. Ha! I wonder how your Brahma will like sharing the flock–maybe he won’t have a choice! Good luck! My son and I have a total of around 60 layers, and his flock consists of mostly Rhodys. Mine consists of Rhodys, Speckled and Light Sussex, Copper Maran, Leghorns, Americanas, Golden laced Wyndottes, one Langshan cross, and 3 older Comets. We also have a new flock of ( 52) Comets, and Barred rocks that will begin laying any day now. The local school’s science program hatched out 27 Rhodys this Spring, and gave them to us. Wow, what a surprise. Now if they are all hens. They are such a good layer, and as you mentioned will lay right through the winter. We give them plenty of light during the winter hours and make sure they also get plenty of greens. As for the roos, we prefer not to have one. You know all well how they can get, but I do have a very sweet Cochin banty rooster, and even though he is in a different pen, he can see all the girls when they are outside, and calls to them when there is something of interest. …and thank you for YOUR story! That must have been a surprise! 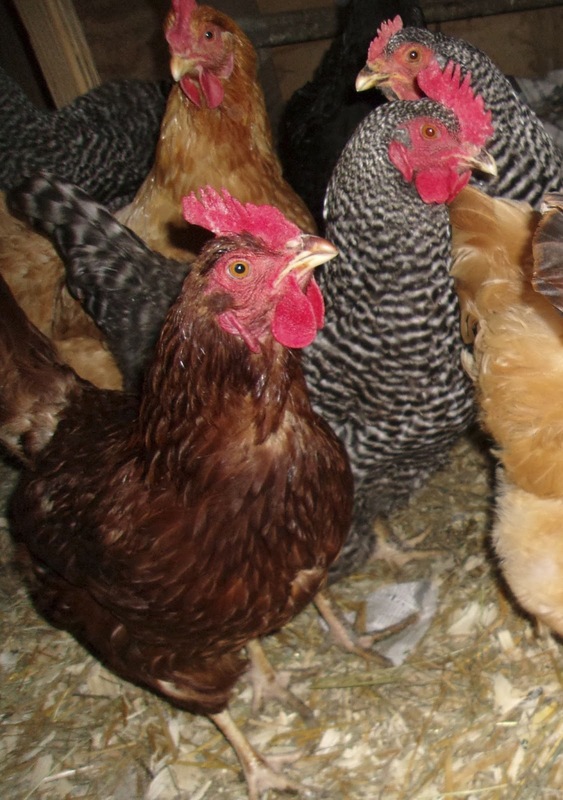 You obviously must have room to “adopt” that many –I would be in a panic building a new coop! Or two! Hope they are all hens, too–and that you have a good market for those eggs once they start piling up…isn’t it fun to look for that first egg from new layers? Ok, I’ll confess. I love to gather eggs, whether from newbies or the old girls. How old does a chicken get before it no longer lays eggs? You mentioned your mother processed the flock every two years – was this because that the meat was at it’s best and the hen’s stopped laying? I don’t have chickens as yet and try to read every thing I can about them. 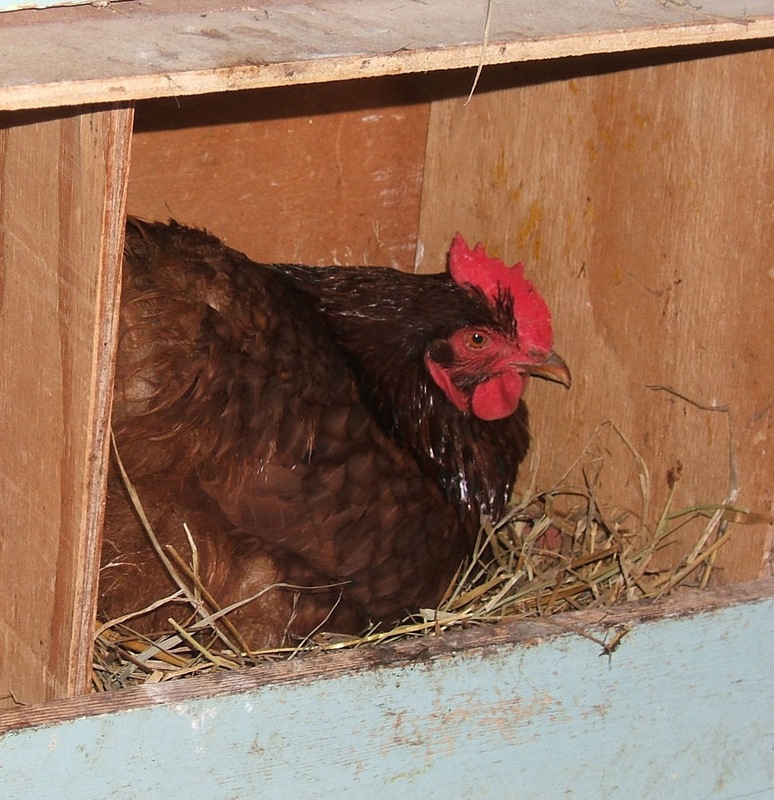 Hens can lay for several years, but the first full year after they begin laying is generally their most productive. After their first molt (when production slows way down), they may lay even larger eggs, but maybe not quite as many…and then each year after that their production slows down. I have some 5 year old hens that are still laying, but not often. Congratulations! Nothing like fresh eggs from your own hens, is there? I do have two hens and they are 4 months old and are laying. They are very tame and friendly. Thank you for sharing your story about Mary Jane! Only a couple more months and you should hear her “egg song” — and then, who knows? You may just be right when you say she will be bragging to the rest!